"Whatever he saw, if it was runny or powdery or gooey, in it went"
This quote from Roald Dahl's 'George's Marvellous Medicine' neatly sums up the development of these biscuits. There was flour on every conceivable surface, half opened packets littered around and a messy trail of random ingredients lining the route from the store cupboard to the food mixer. You might be relieved to know that some of the cupboard contents didn't make the cut, namely the gravy granules, pesto and tomato purée. 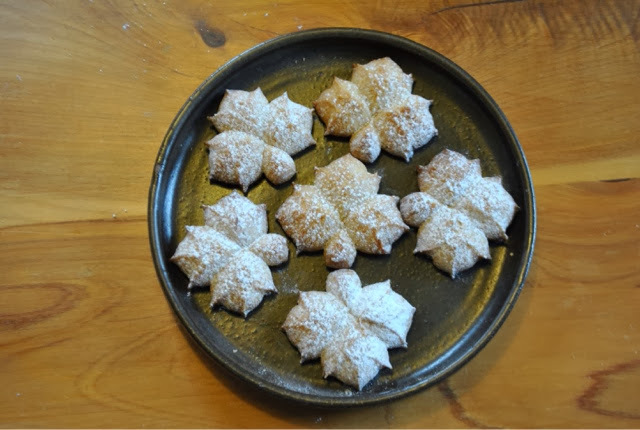 You see, I had my heart set on baking seasonal maple biscuits. I envisaged skipping through the park, dressed in warming winter woollies, kicking multicoloured Autumn leaves high into the air and enjoying a bagful of these biccies. Yes, a bit like a scene from Mary Poppins. The recent stormy conditions put paid to that romantic notion- we nibbled them over a cuppa on the sofa, the rain lashing against the windows, discussing at length exactly who's turn it was to clean the bathroom. But after a few attempts, this recipe, to continue the childhood favourites theme and quote Mary Poppins, is "practically perfect in every way". 4. Roll out the dough to a thickness of 4mm on a work surface dusted with flour. 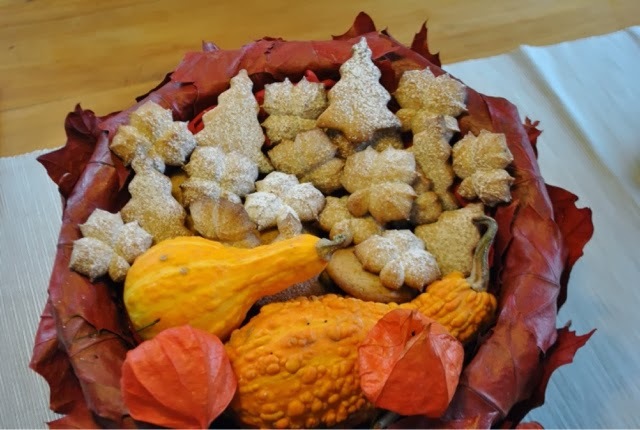 Use a biscuit cutter dipped in a little flour or a Cookie Press to cut out the leaf shapes. 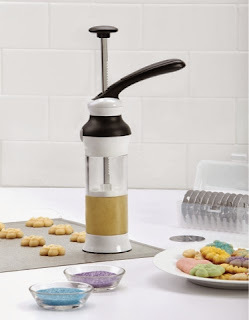 I used this Oxo Cookie Press to create the maple biscuits. The Press will be available to purchase from Lakeland stores from January. With thanks to Oxo for sending me the Cookie Press to sample. That was one of my favourite books in childhood, helped by Rik Mayall's brilliant reading of it on Jackanory! Lovely biscuits. I have a press but have never used it - you've inspired me! Kate: They look delicious no matter where you ate them!! My sister bought back a moose cookie cutter and maple biscuit mix from canada years ago. They were very good and perfect for autumn. I've never been able to find a recipe I liked the look of...until now. I'll be having a go. Also, george and poppins in one post - great going! 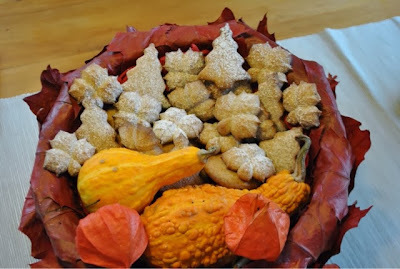 What gorgeous and very seasonal biscuits. Love the Roald Dahl & Mary Poppins references too. I could definitely disappear a few of those! :) My kitchen always looks like a bomb site after I've made biscuits. I don't know how but flour seems to go everywhere. These look and sound so good. I have a retro biscuit gun from the 70s which might do the same job.